Leaky faucet? Call the plumber. Hot water heater stopped working? Call the plumber. Toilet overflowing? Call the plumber. We always call the plumber when parts break in our houses or businesses. But how do you know if you are getting the highest quality plumbing service? Below, we have laid out the foundation to providing clients with excellent plumbing service. To start, excellent plumbing service begins with a professional first impression of the plumber and his or her company. Plumbers should actively listen to the needs of clients in order to successfully and completely finish the job properly the first time. Plumbers represent their companies proudly, and should always work hard as if they are being watched by their boss. Effective communication with clients is a must for plumbing companies. Specific questions regarding the plumbing service that is required during the visit should be asked. Your plumber should always be there for you. Engaging communication with the client is important to accomplishing this sense of trust. The plumbers should also keep clients updated on the status of the services being performed, such as an estimated time of completion. Aside from doing the job correctly the first time, doing the job as efficiently as possible is preferred. Do it quick and do it right. Efficiency is key to ensuring a positive plumbing service experience for clients. 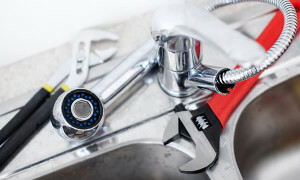 Plumbers who maximize their work output can also complete more jobs in one day, which is beneficial for them, the company, and the clients being serviced. The customer always comes first. End of story. If you feel as if your plumber does not put your needs at the top of his or her priorities, then we recommend that you address this issue to the company. If the issue is not resolved, then it would be best to find a new plumbing company. The best plumbing service comes with excellent customer service. Last, and certainly not least, excellent plumbing companies have high work quality. The little details count here. For example, any piping should be strategically organized to maximize efficiency and appearance. Work sites should always be left clean. The quality of work reflects the quality of the business performing the work. Make sure that your plumbing company is of the highest quality. If you are not experiencing all that has been mentioned above, then you need to find a new plumbing company. As a client, you should be receiving the best services available. Pick a reliable and trustworthy company that gives you peace of mind with your plumbing service.